a bedroom tour has been on my to do list for ages.. so when I was challenged to style a room after one of destinology's holiday locations I figured it would a good opportunity to finally show you around my pad! picking a theme is a great way to stay focused when decorating. otherwise you can end up buying lots of things that don't necessarily work together. having a clear picture of the end result always helps keep you on track and identify what you want from a space. initially I was tempted to use one of their more exotic locations as a theme but after seeing their european breaks I opted for scandinavia- my home is very white and I love all things minimal so it was easier to work with as a starting point. since sweden and iceland have been two of my most inspirational holidays it made sense to me. with that in mind I really wanted to streamline my bedroom and adopt some of the scandi styling ideas that I've been busy pinning on my pinterest board! I love the simple colour palette of grey and white, this knitted throw is super cosy and tied in perfectly with my grey blinds on the windows. 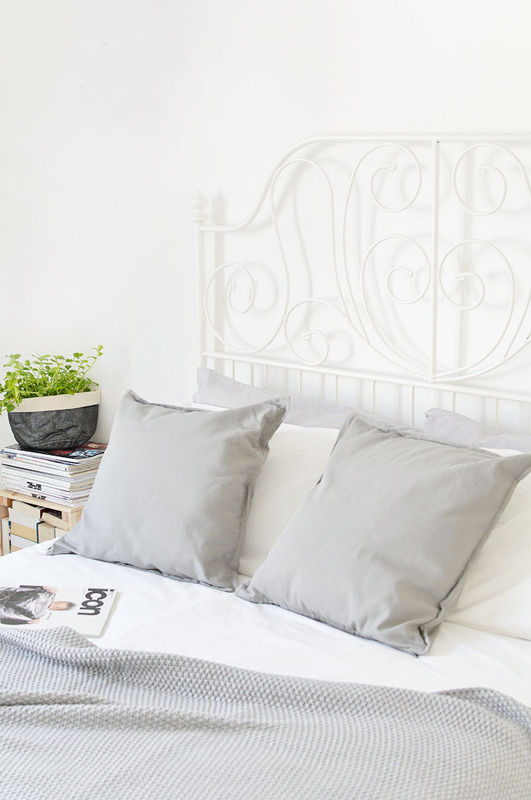 my walls are all painted white as I wanted to keep my bedroom fresh and bright..
one of the things I love about scandinavian home decor is their minimal style, although that doesn't necessarily mean stark. 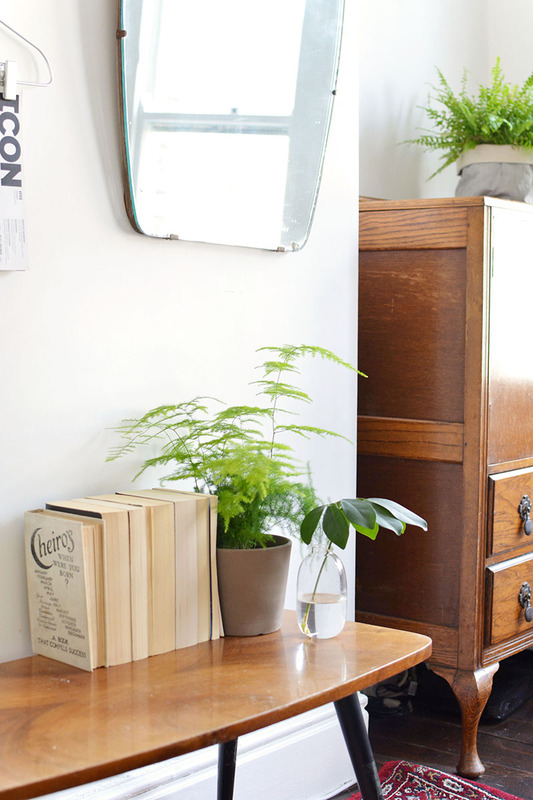 I found vintage furniture to be a really key element in their homes when I've visited. I love the eclectic mix of old meets new, combining modern design with older pieces. 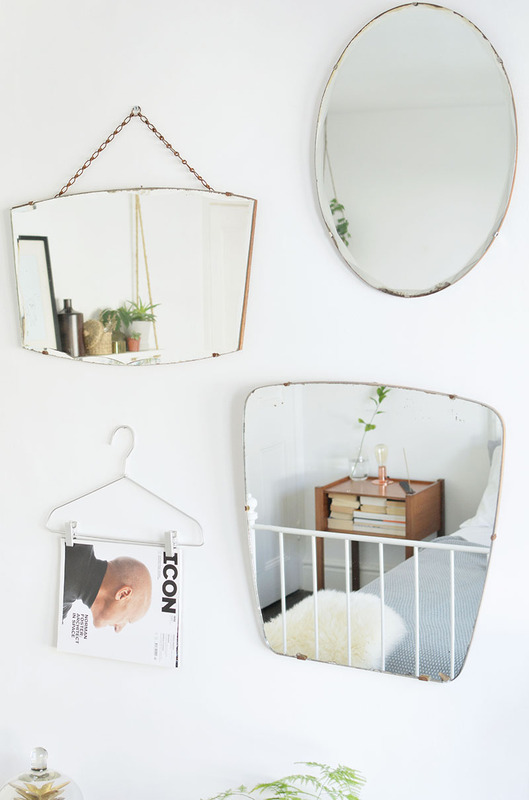 I picked up these vintage mirrors in charity shops- I love how they reflect the light back into the room on a sunny day. 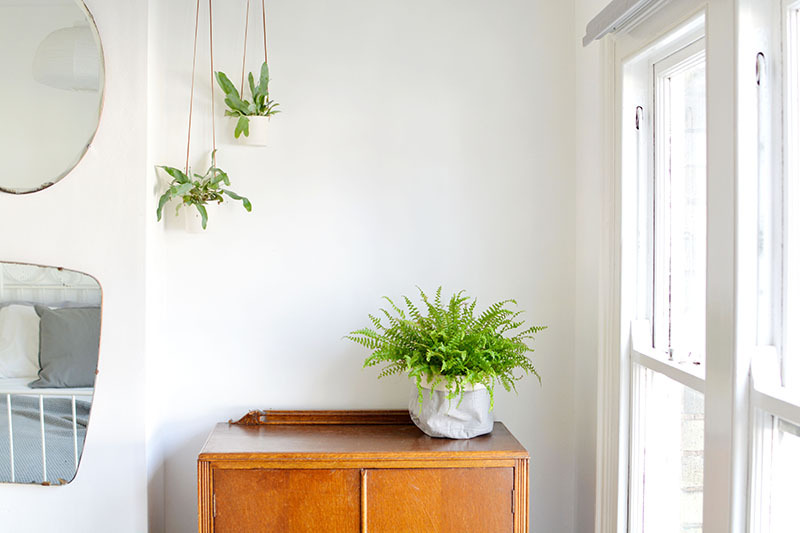 plants are a key element to scandi style and something I just can't stop buying! I love the trick of keeping cuttings in glass vases for little touches of green on shelves. I adore the textures of wood, concrete and metal that are so popular in their homewares. those pinterest worthy fabric baskets from ferm living have been on my scandi shopping list for months so I was pleased to find these ones at zara to tide me over until I own some. 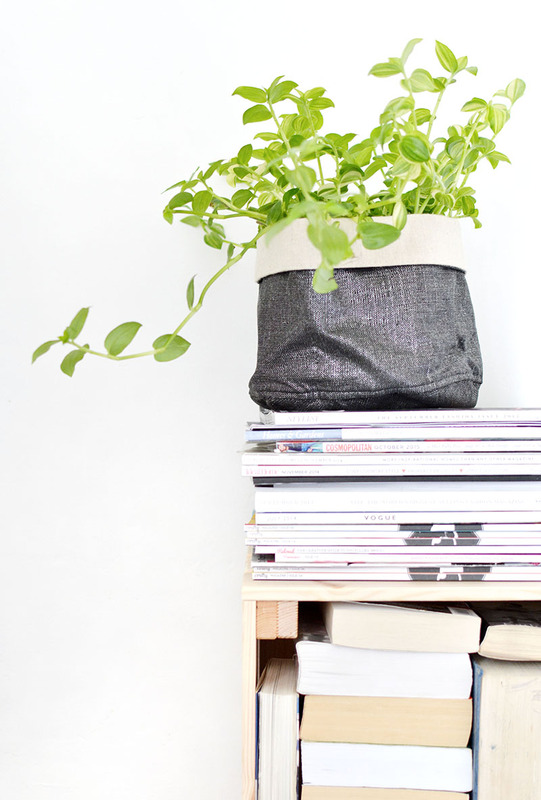 instead of using baskets for storage try using them to hold your plants instead- way cooler. 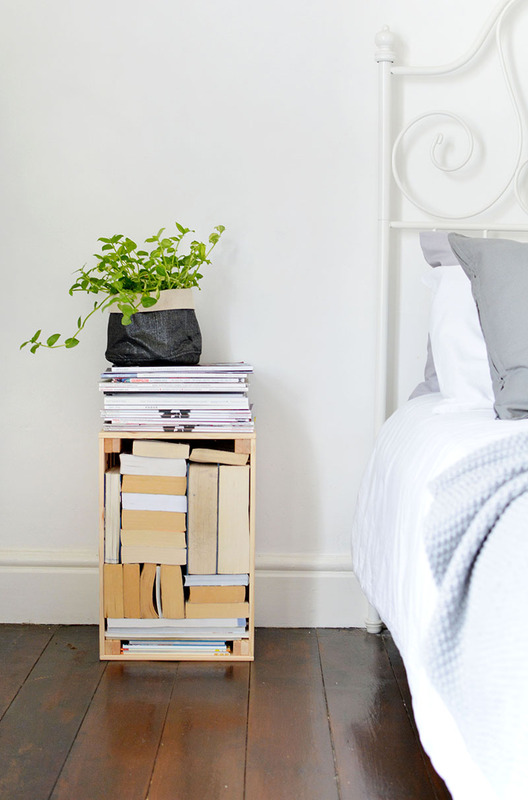 I had a spare crate left over from my last ikea trip that I filled with books to use as my nightstand. 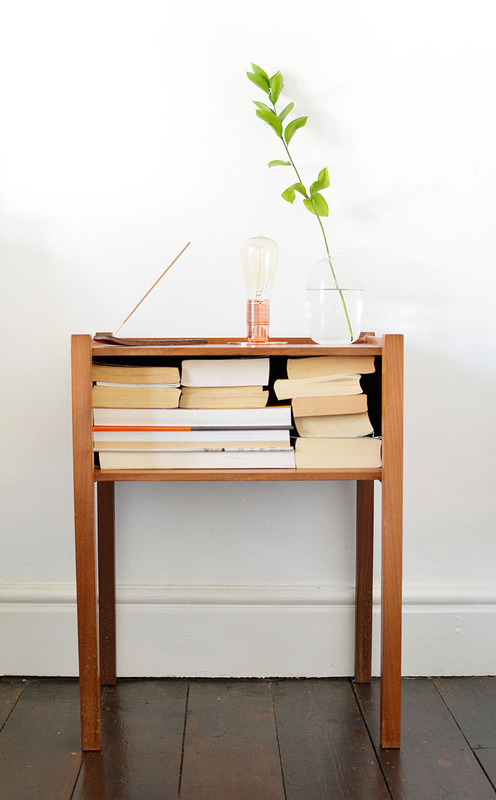 by turning the spines the wrong way round it makes the overall effect more minimal than my other DIY bookcases. james has inherited my old bedside table which was another charity shop find and the copper light was from our last trip to stockholm. I've also jumped on the incense bandwagon and I think I'm a fan! I've removed lots of unwanted items from our bedroom as I want it to be a calm and uncluttered space. I have a habit of keeping beauty products, old boxes and electronics I don't use under the bed (my bad) so having a good clean out really helped create a more restful atmosphere. as for the bed- sticking to neutral tones definitely helps make the room feel more scandi. 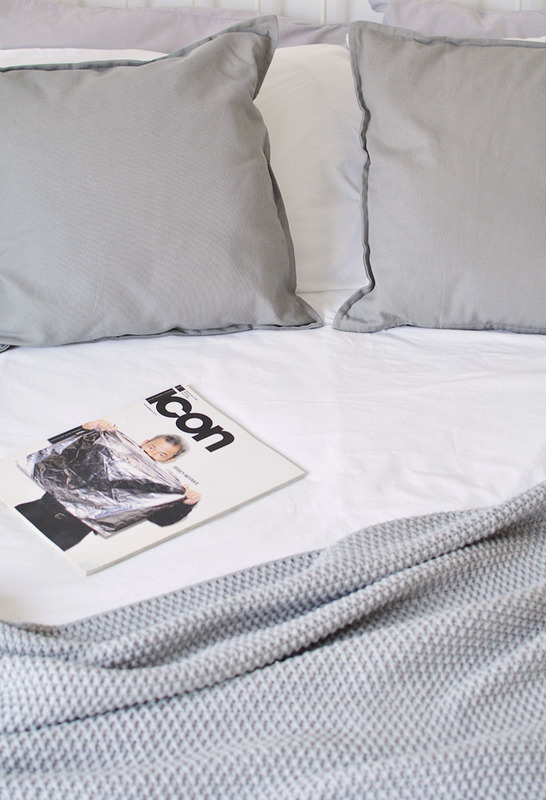 I used to have cath kidston on rotation when I lived at home but now my home goals including buying simple white and grey linen sets- how things have changed! 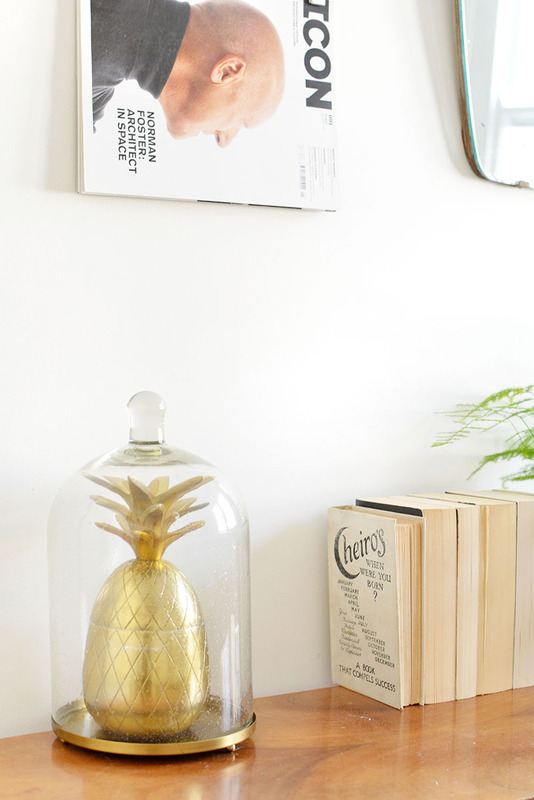 do you have a place that inspires you when it comes to home decor? Such a lovely space! I'm in a box room in a shared house at the moment so not much room for decoration, but I'm always on the look out for ways to make my space more stylish and livable! 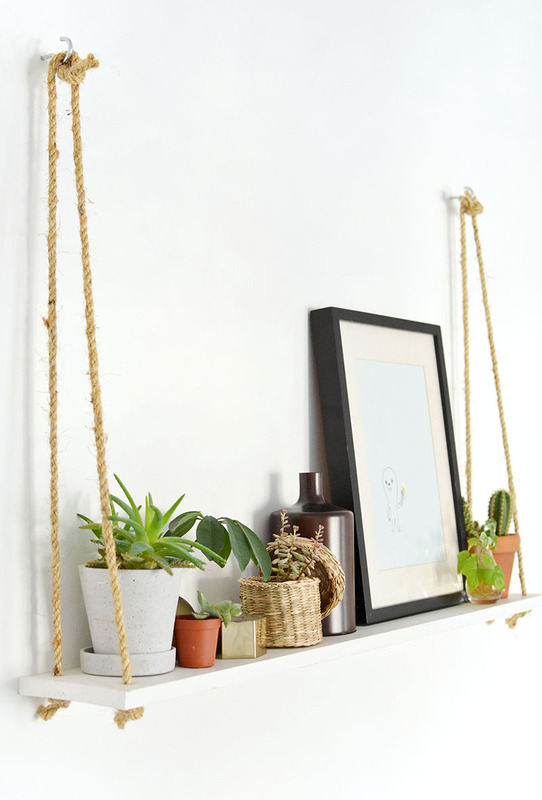 you are the DIY interior queen! what I would do for a space like this!